Ready for some “me time” amid decadent surroundings? Reserve your spot at one of these spectacular Wine Country resorts with Get Americas for your next event around San Francisco. 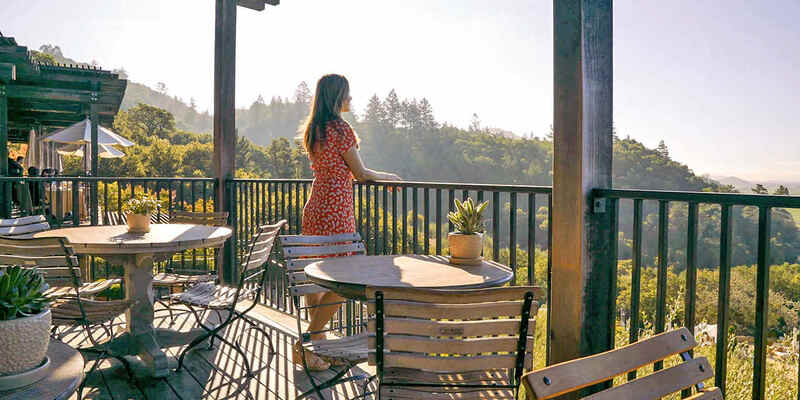 You might stumble on this Russian River Valley resort when you’re making dinner reservations—its Michelin-starred restaurant, Farmhouse, has generated a huge following. The Farmhouse Inn has only 25 rooms, including eight cottages with dry saunas, all gussied up in woodsy-chic style. A full-services spa offers organic treatments using herbs, honey, and fruit harvested on the six-acre property. Swim in the heated pool, take a sommelier-led wine tour, roast late-night s’mores around the fire pit, or just luxuriate in your feather bed. World-class Auberge du Soleil has reigned as the posh resort queen since its opening in 1982. Choose rooms (with French names like Saint-Tropez and Loire) in the main building or stay in one of the hillside cottages with terraces that capitalize on mesmerizing views. A tricked-out spa offers multiple ways to find your bliss—including a Cabernet grape body masque. There’s also a sculpture garden, yoga pavilion, fitness classes, pool, and Michelin-starred restaurant. A stay at this sun-kissed spot high on Rutherford Hill is bound to take your breath away. This property is the grande dame of Sonoma’s resorts. Built in 1927, its distinctive pink walls, red tile roof, and courtyards dotted with fountains and gardens give it a storybook California mission look. The massive structure—more than 40,000 square feet—contains 226 rooms, wine lounge 38 North, and Santé Restaurant. But the biggest draw is the thermal mineral water bubbling up from the ground, which fills four geothermal swimming pools. Try a Watsu massage at the on-site spa, play 18 holes of golf, or simply soak away the world. For a treat-yourself weekend that’s an easy drive from San Francisco, head to Caneros Resort and Spa. Spread over 28 acres of orchards and vineyards, Carneros’ farmhouse-style cottages make a perfect casual-chic setting for a Wine Country getaway. Most have patios or decks with lounge chairs, outdoor showers or soaking tubs, and picnic tables. Spend an afternoon at the adults-only infinity pool and make reservations for dinner at Farm. For casual dining, the Boon Fly Café serves cozy roadhouse food, including out-of-this-world doughnuts.